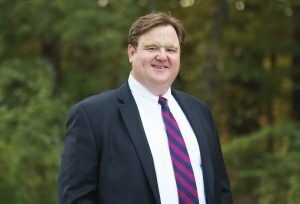 John M Hughes IV, is the third generation to join Dover Country Properties after his grandfather started the company back in 1962. In addition to helping clients buy and sell homes in Dover he will also offer commercial real estate services for current, future and past clients. John holds his CCIM designation as an expert in the valuation, leasing and sale of commercial real estate, including office, industrial and retail properties for lease and sale. With over 13 years in commercial real estate experience, John has helped clients flourish even in tough economic times. John was elected to serve as First Regional Vice President for 2017 and Regional Vice President in 2018 for the CCIM Institute. Region 11, for whom John will represent, is comprised of 4 CCIM Chapters (New England, Connecticut, Upstate NY and Metro NY). Prior to this, John served as the 2013 President for the New England CCIM Chapter. John is also involved in: NECCIM Board of Directors; Union College Boston Alumni (Class ’05); Board of Directors Noble & Greenough School Class 2001 Chair; CCIM’s JW Levine Leadership Academy alum.